We welcome Oguntoye Taiwo Oyedele and Oguntoye Kehinde Oladele, the “Most Famous Twins in African Tourism”, who have established their community as an official International City of Peace. 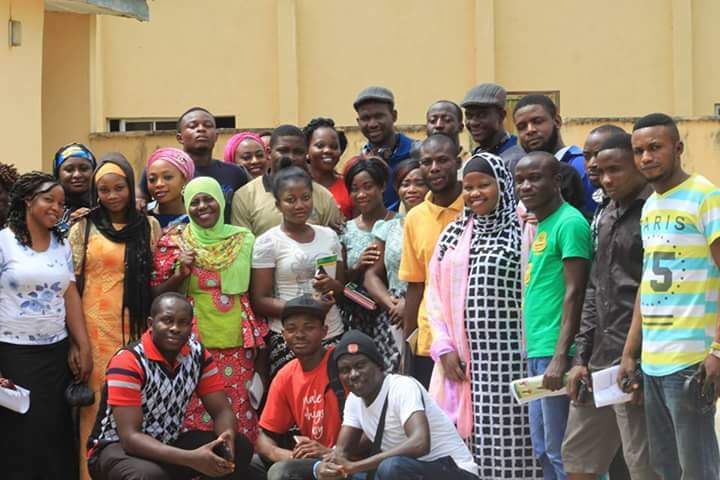 They are working in North Ibadan to network with the community and develop peace advocacy through education. It is a known fact that Nigeria will be heading for another National Election next year to elect political office holders. We shall champion and advocate for youth as peace builders before, during and after the election. The healthy environment of our community shall be advocated for while educating the young ones on importance of peace shall not be taken for granted. 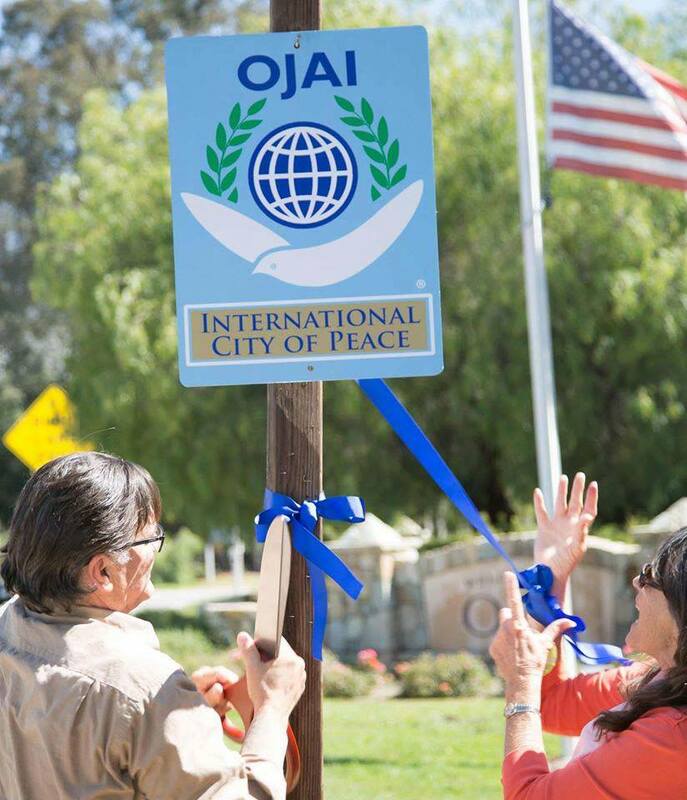 To build the largest city of peace community advocates. 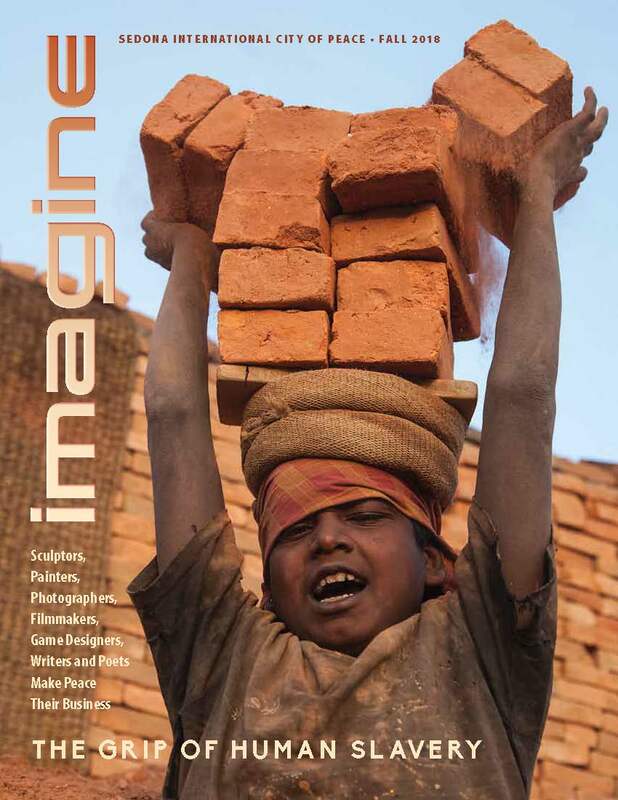 To build a robust campaign to educate about a culture of peaceful living. 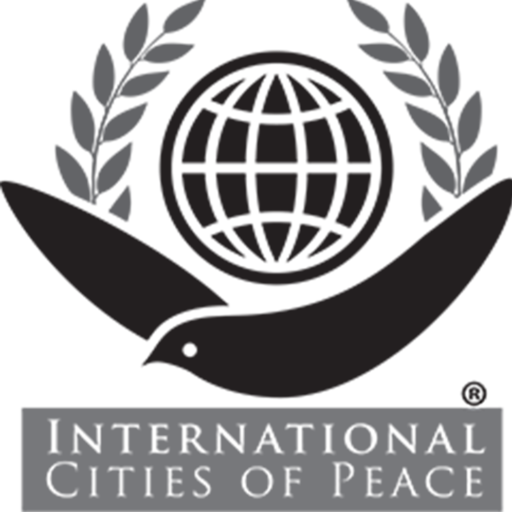 - To design peace building events to foster a culture of peace through education. 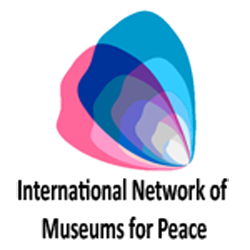 - To design youth for peace program ( a cultural international exchange peace program). 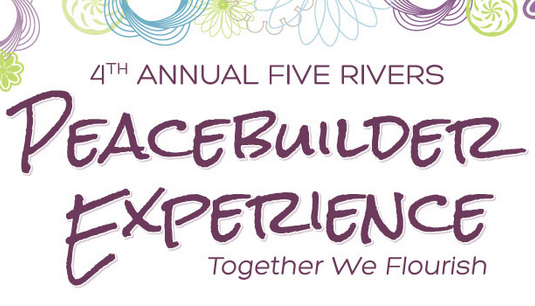 - To hold peace building events to foster a culture of peace. Enhance promotion of sustainable economic and social development through peace. - Foster peaceful democratic participation. - Advocate for youths as peace liaisons for all constituencies. 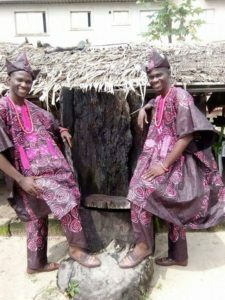 Taiwo and Kehinde OGUNTOYE are the co-founders of Twins World Creations, an organization established a decade ago to research and develop the relevance of twinning to the tourism sector of the world’s economy as well as events conceptualization, public/community relations and marketing. TWC has developed products on twinning among which is the Nigeria Twins Festival which has meta-morphosed into a world -class festival. They are set to gather the World Largest gathering of Twins (Multiple births). Taiwo Oyedele OGUNTOYE has his background in Agricultural Engineering Technology while Kehinde Oladele OGUNTOYE is a trained Animal Health & Production Technologist from Federal College of Agriculture and Federal college of Animal Health & Production Technology, Nigeria respectively. Both are professionally trained in Tourism business with a graduate diploma in Travel & Tourism management from the Institute of Business Technology Management of Nigeria and associate members of the professional body. Both are currently studying Wildlife and Ecotourism Management at the Prestigious University of Ibadan, Nigeria. Tai-Ken are the world initiators of twins-tourism. 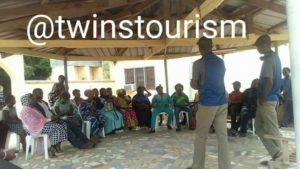 With passion for twinning, events, journalism, travel & health, Tai-Ken had facilitated numerous projects on twins-tourism as well as assisting various Organizations ranging from governments, NGO’s, International Corporations Organizations and Media (Local, National, and Internationals). 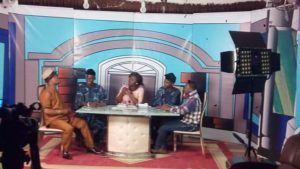 – The first Twins in Africa to jointly co-host Travel and Tourism programme (“Tourism & You”) on radio. 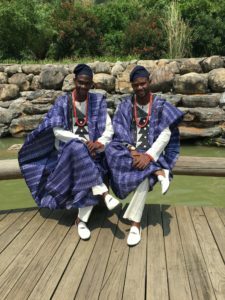 – The first African twins to represent the continent and be honoured at the Mojiang International Twins festival, China. – the first twins in the world to be honoured by the World Busiest and Most travelled International Airport, Hartsfield-Jackson Atlanta International Airport, USA. – Oguntoye Taiwo and Kehinde are both certified South African Specialist, an official expert programme organized by South Africa Tourism. The duo had attended travel, tourism and hospitality events at local, national and international levels. Oguntoye Taiwo and Kehinde have travelled three continents (promoting twins tourism and marketing tourism destinations) which cut across Africa, Asia and America and have experienced countries which includes; United States of America, China, Thailand, Kenya, Ethiopia, Cameroon, South Africa , Ghana, Togo, Benin Republic etc. They are vast in Nigeria tourism terrain having travelled 31 Nigerian States +FCT. P.O.BOX 10827, DUGBE, IBADAN, OYO STATE. NIGERIA. Ibadan (Yoruba: Ìbàdàn) is the capital and most populous city of Oyo State, Nigeria. With a population of over 3 million, it is the third most populous city in Nigeria after Lagos and Kano; it is the country’s largest city by geographical area. 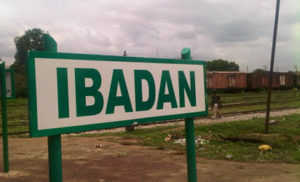 At the time of Nigeria’s independence in 1960, Ibadan was the largest and most populous city in the country, and the second most populous in Africa after Cairo. Ibadan is located in south-western Nigeria, 128 km inland northeast of Lagos and 530 km southwest of Abuja, the federal capital, and is a prominent transit point between the coastal region and the areas in the hinterland of the country. Ibadan had been the centre of administration of the old Western Region since the days of the British colonial rule, and parts of the city’s ancient protective walls still stand to this day. The principal inhabitants of the city are the Yorubas, as well as various communities from other parts of the country.